This recipe is about getting the basics right! Grind your own meat if you can, use quality produce and don't fuss with too many ingredients, except don't forget to use the best mayo of course! Simple but delicious burgers are the holy grail of Americana. Try this recipe today! Mince the chuck steak on medium grind and form into 150g patties or get your butcher to do it. Season lightly with salt and pepper, cook to desired liking on the grill. Once the patties are nearly cooked, place on the cheese and allow to melt. Cut and grill the buns. 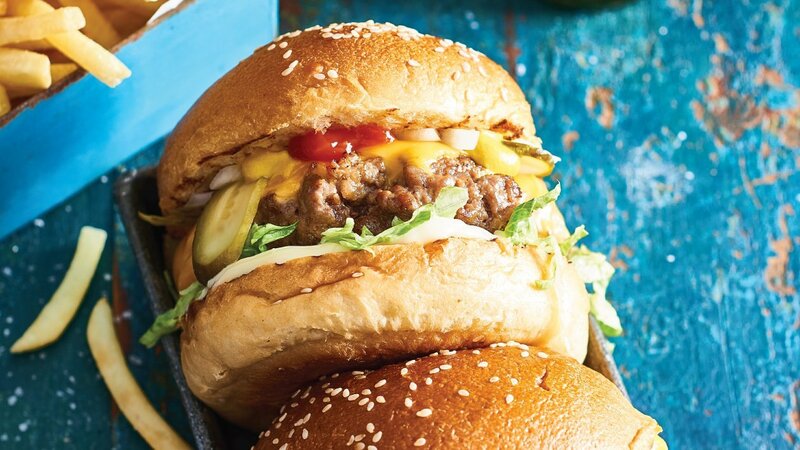 Assemble burger in the following order – bun base, Best Foods Real Mayonnaise, lettuce, beef patty with cheese, onion, mustard, Knorr Tomato ketchup, pickles and top bun.